We speak for a few minutes. I hand him some money, touch him, wish him luck. According to Maimonides, if you see a poor person asking, you may not ignore him. You must give him tzedakah. Different commentators disagree on exactly what you must give the person, but all agree: You may not ignore the person. Maimonides acknowledges that the small gift is not about fully satisfying the physical needs of the person asking. He is concerned about the assault on human dignity when a person in need is ignored. He is aware of the shame and vulnerability involved in requesting help. 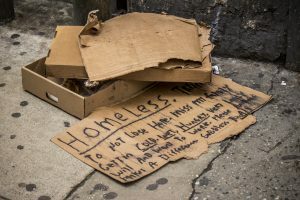 According to an article by Rabbi Noam Zion, Maimonides “responding positively [to a person in need] is an expression of compassion, not a provision of material needs. It is loving kindness more than tzedakah that is commanded here.” And then, Rabbi Zion reminds us of the power of our interconnection; not only does the person asking require our attention, but Zion says ignoring someone in need places people in danger of hardening their own hearts by turning a blind eye to the request. Responding to people in need is not only about acknowledging the humanity of the person who is asking. It is a clear lesson that no matter what our social or economic status may be, our own humanity is defined by seeing and responding to the humanity in others, especially those so often ignored. 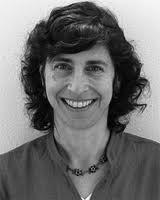 Beth is the Director of JFS Project Kavod/Dignity. She has enjoyed teaching Judaics to children and adults of all ages in both formal and informal settings for over 30 years. She is the recipient of a 2010 National Covenant Award for Excellence in Jewish Education.